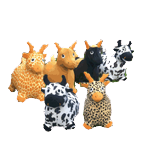 Our Animal Hoppers are the new updated version of the good old famous space hoppers..
Music without the expense of a DJ? 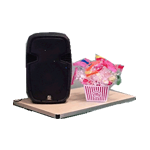 Then hire our 600W Bluetooth Active Speaker for your party tunes. 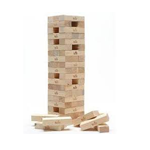 Why not add on our Giant Jenga to your bouncy castle booking for some added fun! Just don't topple the tower. Put your concentration and steady hand to the test with our giant Buzz wire. Why not add some sparkle to your party by booking our glitter tattoos extra? Lots of designs to choose from. 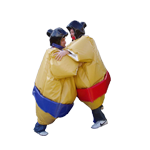 You are GUARANTEED a laugh with these suits whether your taking part wearing the sumo suit or just speculating! 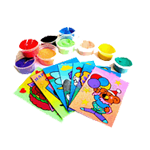 Sand Art is the virtually mess free Arts and Craft loved by boys and girls of all ages! Wonderful pictures to take home and keep. Save some time and money shopping about trying to fill party bags. These sweetie cones are ideal for sending home. Didicars are a unique self propelled ride on toy for children ages 3+ (however adults can ride it too!! ).